Great investment opportunity in East Colfax area. 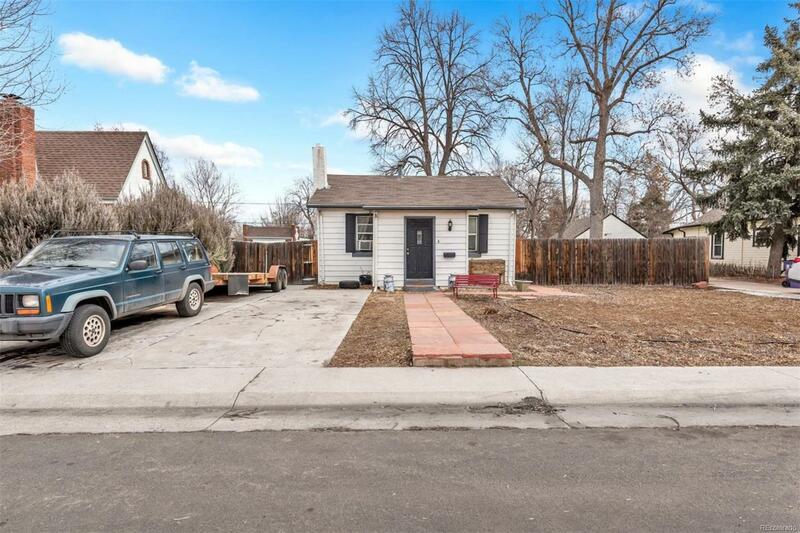 Cute Ranch/1 Story with two bedrooms and one bath. Hardwood floors with tile in kitchen, stainless steel appliances, wood burning fireplace in living room. Large fenced yard great for entertaining. Enjoy easy access to Westerly Creek green belt, Stanley Marketplace, Johnson & Wales University, CU Anschutz Medical Campus, & many more amenities and conveniences.